We saw an orange tree in the pedestrian street two days ago. Here's another. 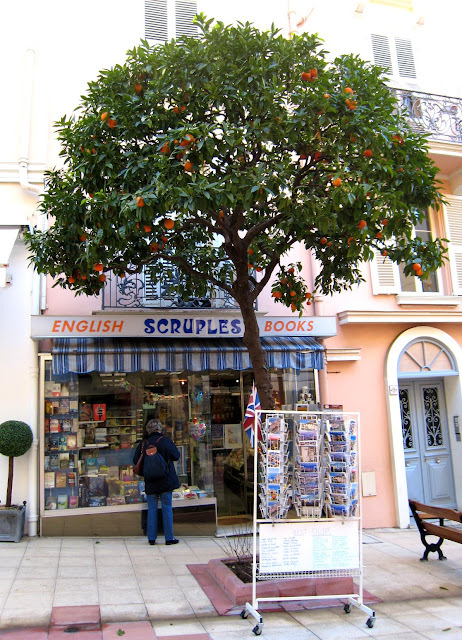 This time in front of Scruples, the English book shop in Monte Carlo. Other towns along the French Riviera have English bookshops - Antibes, Cannes, Nice, Valbonne. Yet others have an English library, often part of the Anglican church. Indeed there is one of these in Monaco, attached to St. Paul's Anglican church and another in Menton, attached to St. John's English church. It is an orange tree then. Nice photo. you keep saying "scuples", but the sign says "scruples". which is it? Radman - thanks. it's Scruples. I read it thru twice too - can't see for looking - pathetic. thanks again. 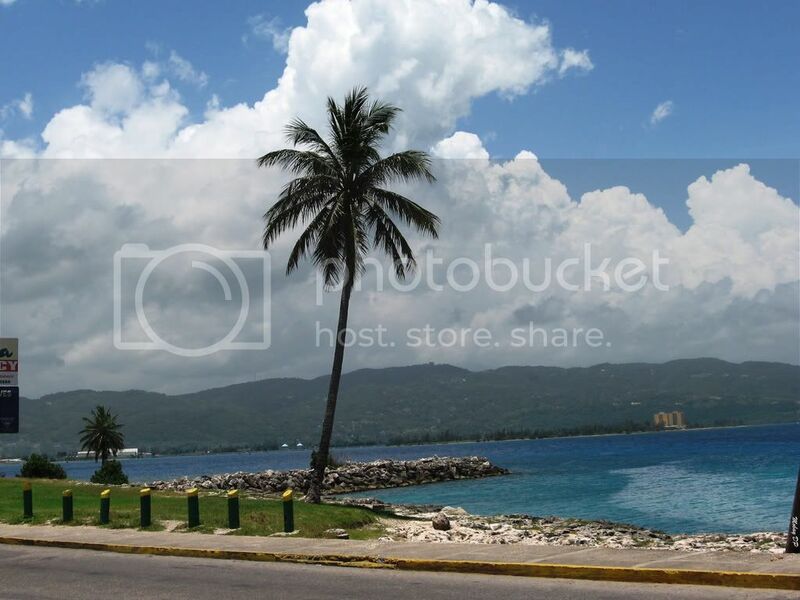 If those orange trees were in Montego Bay, I'm sad to say there would be no oranges on the trees. They would all be stolen. Indeed, they might steal the very trees!